Though names like Bingo, Max and Rex are known as some of the most popular amongst pooches, new license data has revealed a new winner in Manhattan: Lucy! According to dog registration in the borough, 204 dogs answer to that name in Manhattan alone. 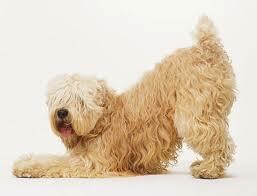 It is also the most popular name for pets in the Upper East and Upper West sides. Next in line is the name Lola, which is shared by 192 dogs in the area. The stats go on the list several unusual names throughout the borough, including Carmelo, Jeter, and Elwood. Kay Powers of the West Village explained that unusual names grant dogs individuality. “I wouldn’t name one of my kids a top 10 most popular name. Why would I do that with my dog?” she said. Further data reveals that the most popular breeds in NYC are Yorkies, Shih Tzus and Chihuahuas.